Here at Drive in Service Centre we’re keen to offer exceptional prices on everything we do. It’s no different with our MOT testing service. Just look at our low prices for MOTs. 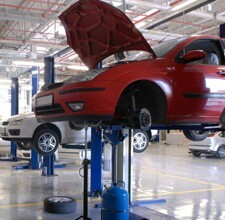 By the way, we don't charge a re-test fee if your vehicle fails its MOT and we do the repairs. We offer some of the lowest prices for MOTs in the whole Bradford area, so the people of Bradford, Shipley, Bingley, Baildon and all around us can benefit from cheap MOTs.To book your vehicle in for an MOT test, just call us on Bradford 01274 794991.